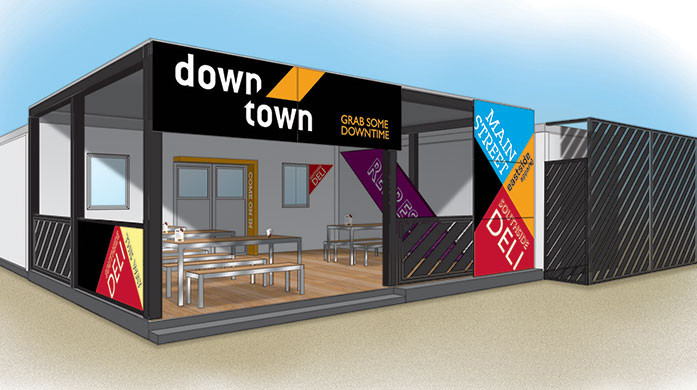 Downtown is a new retail brand designed to fit a portable shipping container for use on army camps. 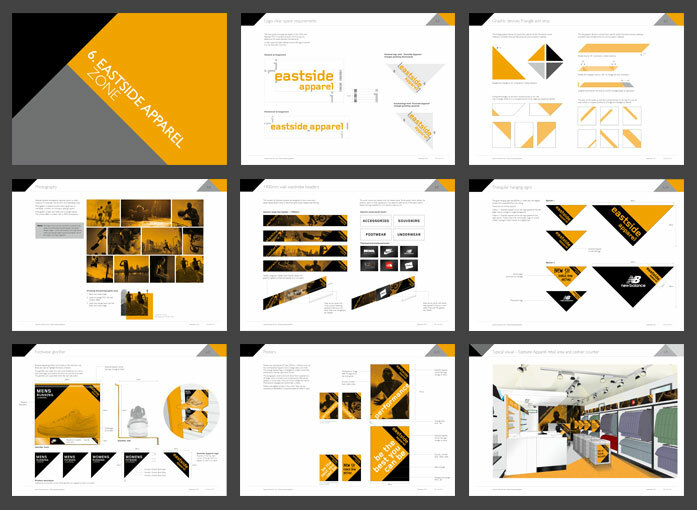 The identity is inspired by the urban environment, using street imagery, robust typography and tone of voice. 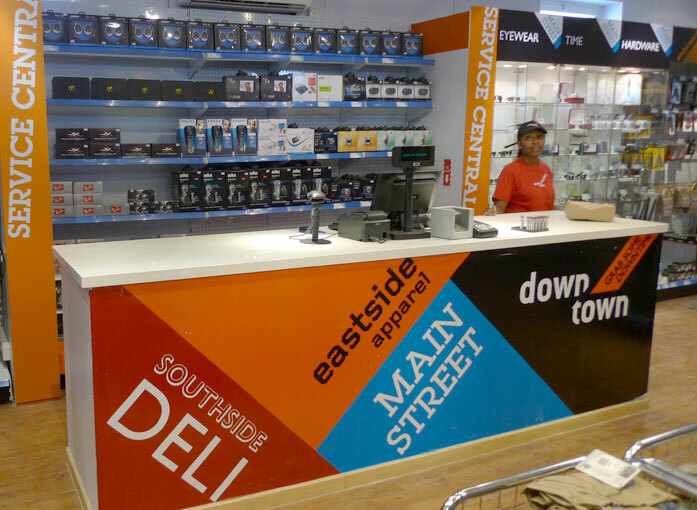 The store zones are: Main Street (everyday essentials), Eastside Apparel (clothing & footwear) and Southside Deli (food & drinks). 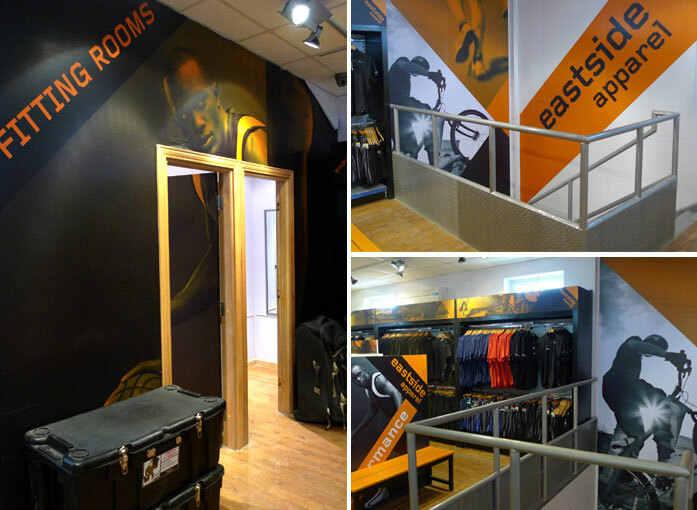 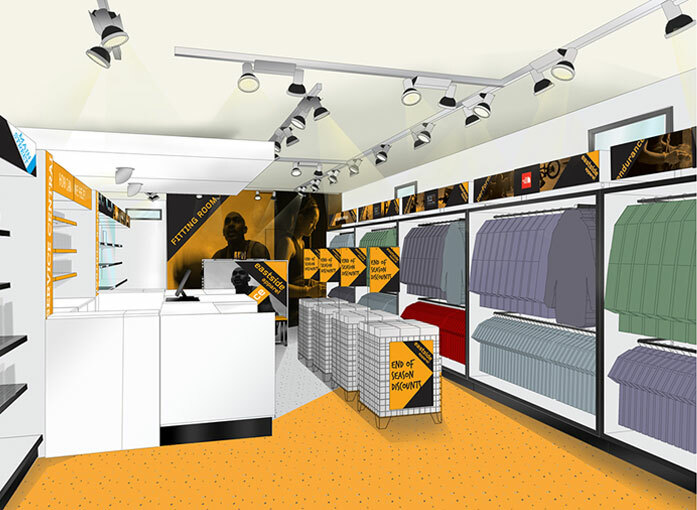 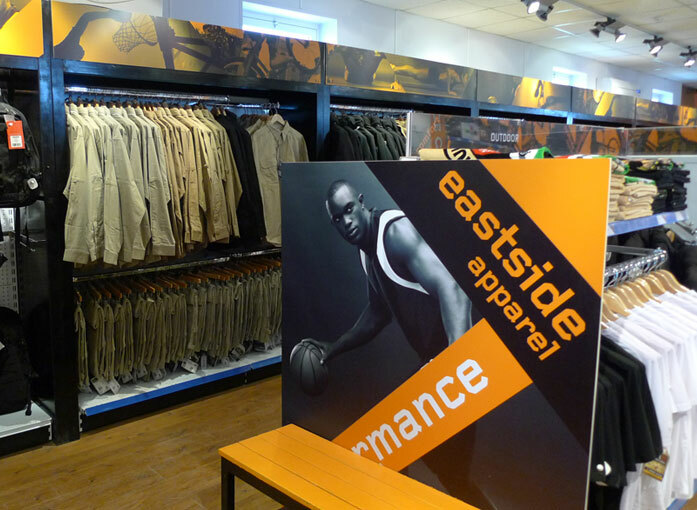 I created the concepts and identity for Eastside Apparel using monochrome imagery of urban sports/training, distinctive yellow colour tones and a hand written graffiti style typeface for messaging and promotions. 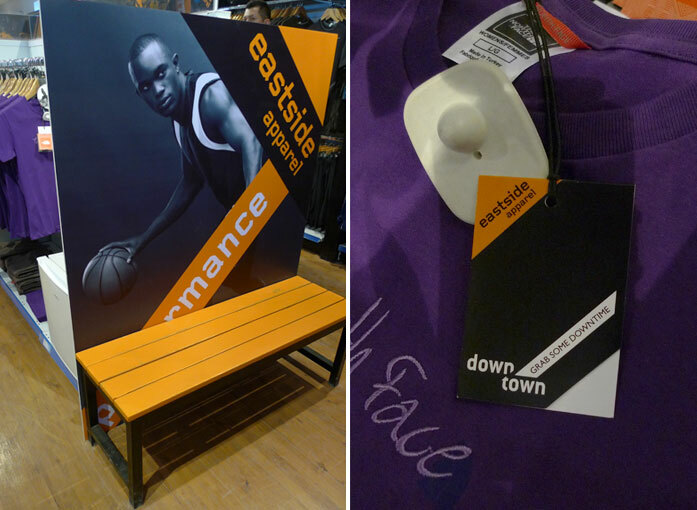 Designed as part of the team at Circle Brands.